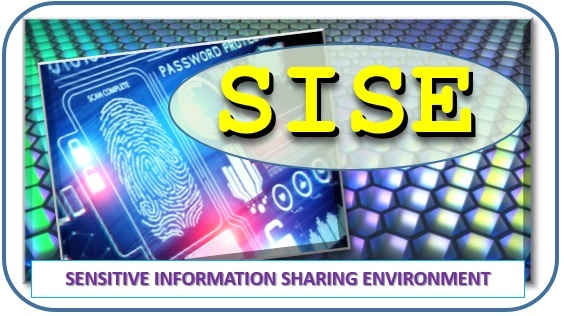 The SISE (Sensitive information Sharing Environment) evolved out of a pilot project conducted in 2015 referred to the Regional PIV-I Information Sharing Pilot Project. See history below. This pilot project created a working group that matured into the SISE Working Group which has sustained the effort. Through a partnership with the All Hazards Consortium, the Transglobal Secure Collaboration Program (TSCP), DHS Science & Technology, the PIV-I / FRAC Technology Transfer Working Group, the Multi-State Fleet Response Working Group, and state advisers, the Working Group will deploy a no-cost pilot to issue PIV-I cards for sharing digital information only to the Board of Directors for the All Hazards Consortium, the Executive Steering Committee members for the Multi-State Fleet Response Working Group, the AHC’s Regional CIP Working Group government members, and representatives in the New Jersey Fusion Center. This audience represented roughly 50 participants from both private and public sectors. Initially, the information to be shared was data from the electric sector companies supporting their Re﻿gional Fleet Movement Coordination Initiative. This included data related to fleet and truck movements, numbers of people, potential routes taken, etc…. Several other data sets were added during the pilot program from other sectors. As part of this pilot, TSCP partners issued PIV-I cards at no cost to a select group of people by name. These individuals used these cards to gain access the Multi-State Fleet Response Working Group / PIV-I portal in order to gain access to the private sector sensitive data as mentioned above. Non PIV-I participants were issued standard usernames/passwords to gain access to the portal but were limited to viewing non-sensitive information. Additionally, the Fleet Response Working Group, working with its state advisers, put together educational and training plans, as well as operational plans in order for this pilot to be effective with the private sector and states. The Multi-State Fleet Response Working Group Executive Steering Committee met with regularly its members and state advisers to oversee the process.